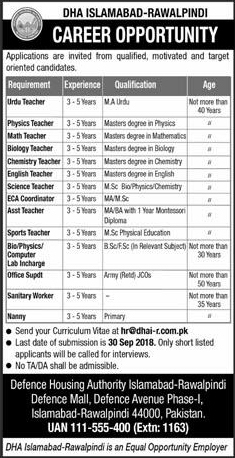 Defence Housing Authority Schools Islamabad-Rawalpindi. Last Date of Submission is 30 September 2018. Defence Mall, Defence Avenue Phase-I, Islamabad.